Of marketers that blog, 82% say they receive a positive return-on-investment from their inbound marketing activities. When you own a business, how you connect with your target audience online is half of the battle. You might have the most amazing product that could revolutionize the way people live, but if no one knows about it, you won’t make sales. There will always be a handful of customers that will have a deeper knowledge of your products because they have already done extensive web research to find you organically through search results or know about you because they’re local. However, what about the people who don’t know they need your product yet? What about the customers that chose your competitor because they didn’t find your website? Blogging should become the vessel to those unknowing customers. 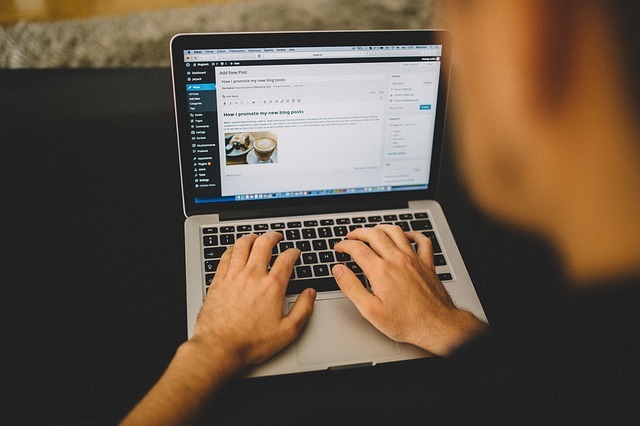 Blogging helps to inform potential customers about your product or service and your industry. They can also give background information on related topics. Here are a few ideas to consider when creating your blog. Blog posts can address problems that potential buyers face, as well as discuss solutions your product provides. For example, you may know of another type of industry that could benefit from your product. When you show visitors how your services or products can help them fix an existing issue, you’re more likely to increase conversion rates. Another great opportunity for your blog is to write about the benefits your product can bring to your customers, and to other industries. The possibilities are endless and you can get as creative as you want – as long as it’s relevant to your product and industry. Focus on showing potential customers how your products or services benefit them personally and how your business will make a difference in their everyday lives. The more content your website contains the better. Let’s imagine that you’ve employed a writer who is blogging professionally for your company. Look at your blog or content as a spider web. The more content you add, the larger your web becomes. Over time, that web becomes dense. You’ll catch more leads or sales with a larger web of relevant content. Having a nice spread of content on your site carries many other benefits too. When someone is searching for a product or service, they’re looking for information. Your content should provide that information, answer, or solution for the customer. When your site content is continuously able to provide useful information to customers, not only will your customers look at you as an authority in your industry, they’ll spend more time on your site. As a result, you’ll start ranking higher in search engines. How do I find someone to write my blog? After you’ve decided to make blogging a part of your marketing plan, you’re already taking steps toward capturing new customers, increasing product sales and well, crushing your competitors. Who doesn’t want that? If you’re in the same boat as many other companies, you do not have a copywriter on staff. When you’re running a business, time is money and you’re busy as it is. The more time you spend trying to figure it out, the more time your competition has to pull ahead. The best place to start your search is for Internet Marketing companies that provide copywriting services, like Inbound Marketing Inc. These companies often employ a staff of full-time writers who write or blog professionally on behalf of businesses. These writers understand a wide range of service or product industries, are well-versed in writing and using the proper tone of voice for your business. Their copy is optimized to appear in web search results tailored to your business and industry. How should my blog look on my website? First and foremost, your blog needs to match your brand appearance. You’re speaking as an authority of your industry and products, so you want your brand to match the aesthetic of your blog. For example, if your brand colors are blue and yellow, you should stick with the same color scheme on your blog. In the way of design, since these pages are focused on copy and providing solutions for readers, your design doesn’t need to blow someone away. Less is more in this case. However, you should always try to use graphics in your blogs to keep readers from seeing just a solid block of text. Most Internet marketing companies that provide professional copywriting services also have web developers and designers that provide professional blog design services as well. These services go hand-in-hand, so it’s important to choose a company you feel comfortable with representing your business. What topics have you had success writing about? What platforms did you use to blog?